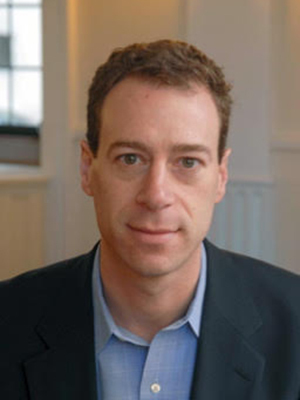 Bryan Garsten is a Professor (Adjunct) of Law at Yale Law School and a Professor of Political Science and the Humanities, and Chair of the Humanities Program at Yale University. He writes about the history of political thought and contemporary political theory, with a special interest in the themes of persuasion, judgment, political representation and religion, and the place of emotions in political life. Bryan Garsten is a Professor (Adjunct) of Law at Yale Law School and a Professor of Political Science and the Humanities, and Chair of the Humanities Program at Yale University. He writes about the history of political thought and contemporary political theory, with a special interest in the themes of persuasion, judgment, political representation and religion, and the place of emotions in political life. He is the author of Saving Persuasion: A Defense of Rhetoric and Judgment (Harvard University Press, 2006) as well as numerous articles. Garsten is now finishing a book called The Heart of a Heartless World that examines the ethical, political, and religious core of early nineteenth century liberalism in the United States and France. He has also edited Rousseau, the Enlightenment, and Their Legacies, a collection of essays by the Rousseau scholar Robert Wokler (Princeton University Press, 2012). His writings have won various awards, including the First Book Prize of the Foundations of Political Theory section of the American Political Science Association. Garsten teaches “Introduction to Political Philosophy,” “Aristotle’s Political Thought,” “Political Representation,” “Tocqueville,” and “Directed Studies” among other courses. His work in the classroom earned him the 2008 Poorvu Family Prize for Interdisciplinary Teaching. He has served as Director of Undergraduate Studies for Yale’s major in Ethics, Politics and Economics and the Director of Graduate Studies for the Department of Political Science. He earned his Ph.D. from Harvard University, and holds an M.Phil from Cambridge University and an A.B. from Harvard College.